In the north of the island you’ll find some of Sicily’s most stunning landscapes and finest beaches, as well as numerous picturesque villages and fascinating towns waiting to be explored, not least the bustling and vibrant city of Palermo. This ancient city has a plethora of historic gems waiting to be discovered, including the magnificent Monreale Cathedral, possibly the finest Norman building in Sicily. But it’s not just its fabulous cathedrals and palaces that Palermo is famed for, it’s also known for its excellent street food, reputed to be among the best in the world. Other highlights include some excellent museums, an open-air theatre, colourful street markets and the nearby beach of Mondello. 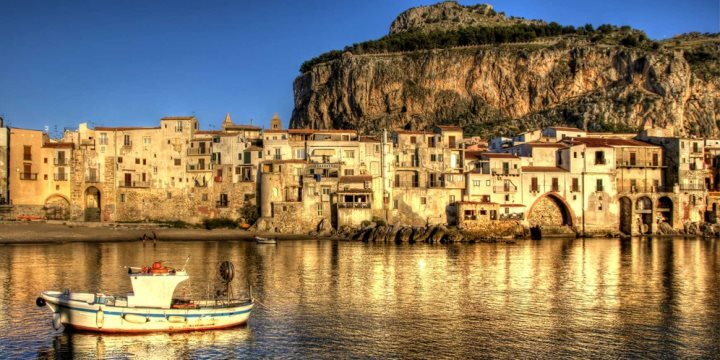 Heading east, picture postcard Cefalù with its narrow cobbled streets, impressive cathedral and long sandy beach with the imposing rocky outcrop of La Rocca forming a dramatic backdrop, is one of Sicily’s most well-known resorts. Between here and Palermo you’ll find many lovely sandy beaches, all of which are very popular throughout the summer. Continuing east you’ll find numerous pretty coves and seaside villages as far as Capo d’Orlando, a resort second only to Cefalù in its popularity. 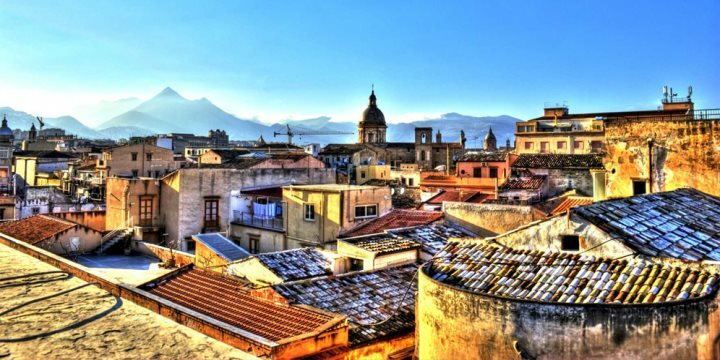 Inland you’ll find a cooler, quieter Sicily on the slopes of Monti Madonie, a natural park with numerous excellent hiking routes and picturesque, historic hilltop towns and villages. It’s an area also known for its excellent traditional restaurants, as is Parco Naturale dei Nebrodi, a vast region of forests and mountain pastures, with many remote villages that few visitors to the island discover.